We organize and thematize private camps for comanies, schools or other centres. Arouse scientific vocation sin children and enhance women participation in science. Our main objetive is to awake in the younger ones the interest in science and space through different leisure educational activities, so that they may end up studying science in college. Children from 6 to 16 years old. The Space School is 15 days long. Each day we have 8hours of activities including lunch. Is a camp with Space thematic. A fortnight full of amusing activities about Space. 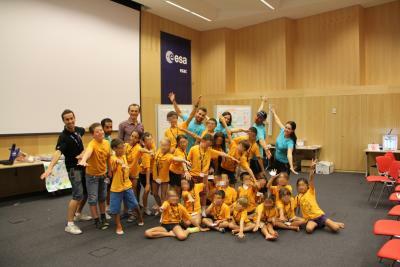 An adventure to learn about Space while having a great time. 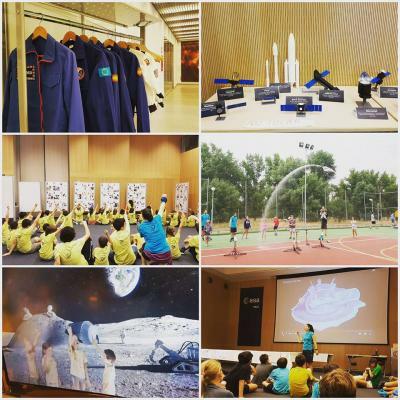 The objective number one is to have fun, moreover we will work in planetary sciences, astronauts' life, and Space exploration. Expand the knowledge about Space and their environment. Provide a sense of play and participation in leisure time as well as in life in general. Promote creative coexistence and dialogue between children of different cultures as a transforming element. 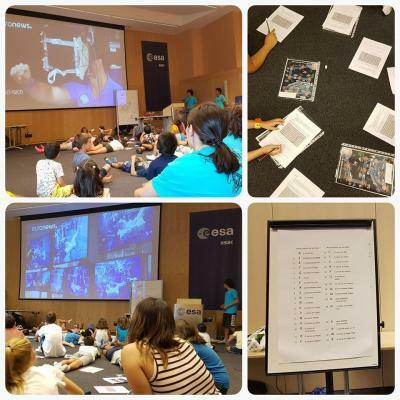 Learn in a fun and creative way about planetary sciences. Learn to work in a group in a collaborative way. Ease free expression and creativity: We try to promote spontaneity, freedom to opine, as well as individual and collective creativity. Critical attitude and research: To get children interested in research and science, dynamics of participation and collective and individual learning are fostered, awakening and reinforcing their natural curiosity, motivation and interest towards the environment that surrounds them. Education in values and habits: Human values are promoted through the activities of the camp. It is an excellent way to raise responsible and supportive children, with a desire to share knowledge, the ability to choose, comment, and make proposals. In this sense we try to generate habits of respect towards the common space that we all share. Acceptance of diversity: We promote the respect for each child's identity, as well as acceptance and respect towards socio-cultural diversity. Team-Work: We develop activities that promote team dynamics, not only active, but also reflective, or the combination of both strategies, through the game.